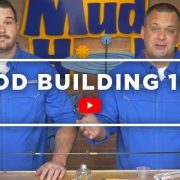 Catch up with FLW Pro John Cox, the Mud Hole crew, and all the fish they caught while testing rod blanks on Lake Monroe. It’s no secret that John Cox is one of the best flippin’ fisherman around. 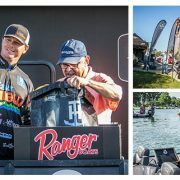 From his sight fishing expertise and back to back flip-off titles at iCast to winning the Forrest Wood Cup, Cox has proved himself on some of the profession’s biggest stages. 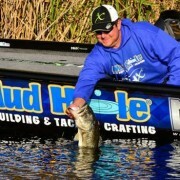 In fact, John Cox will soon get his shot at the Bassmaster Classic after taking home first place in the B.A.S.S. Southern Open on Chickamauga Lake. 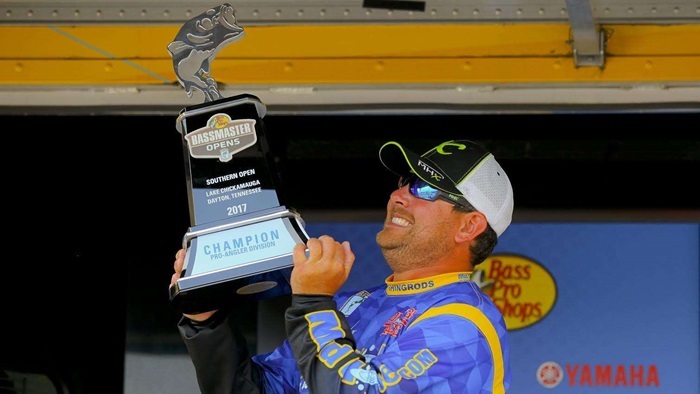 John bagged 68lb-30z of Chickamauga bass and received way more than just a check, he won entrance into the 2018 Bassmaster Classic on Lake Hartwell. Excited for the opportunity to fish the Classic, John has been sharpening his fishing skills in preparation for his upcoming events. And for Cox, you can’t begin to practice without grabbing some good flippin’ sticks. As a native of DeBary, Florida, flippin’ has been in John’s blood since he can remember. 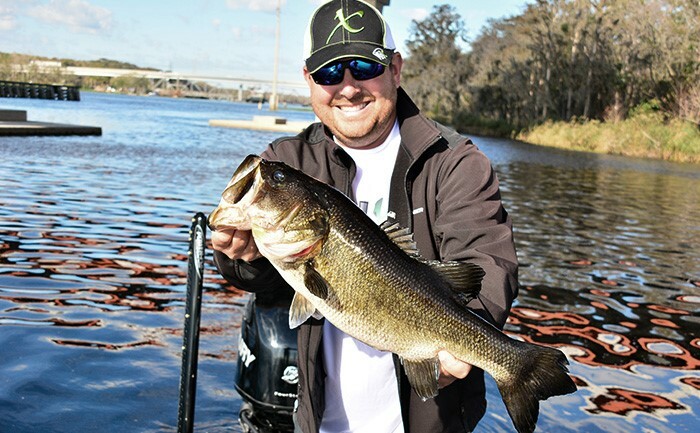 John Cox is not only infamous for sight fishing, but also his pinpoint accuracy while flippin’ for the largest bass. It’s often these two characteristics combined that get him more action with bigger bass. With keen eyesight and the ultimate precision, Cox is able to flip baits just past smaller bass to hook up those aggressive lunkers that push into double digits. Since John demands the highest performance from his flippin’ sticks, he’s looking forward to fishing the new retooled MHX Elite Pro Series Blanks. 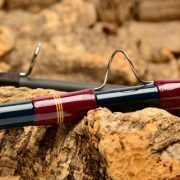 The NEPS Blanks showcase some of the best rods when targeting specific fishing applications, techniques, and lures with superior sensitivity and strength. Engineered from experience and built with the boosts in performance to match, this updated NEPS line definitely kicks professional performance up a few notches. Born from 50 million modulus Toray fiber and an incredible Nano Resin system, the new NEPS blanks feature exciting upgrades to the original line that anglers are definitely going to want to feel and fish for themselves. Compared to the past blanks, these retooled Elite Pro Series blanks are identified by the “NEPS” part number to signify the addition of the innovative Nano Resin system. These two Elite Pro blanks are fine-tuned for flippin’ baits with incredible accuracy and then relying on their optimal sensitivity to feel the bite and swiftly set the hook. But that’s not all, the NEPS90 and NEPS92 both boast heavy powers so that pro anglers like John Cox can bully monster bass up through dense vegetation. The NEPS90HF-MHX is the updated flippin’ stick in the retooled NEPS line of blanks, but the NEPS92HF-MHX is a brand new model added to the inventory of performance driven rod blanks. At a length of 7’6”, the NEPS90HF-MHX blank features a fast action and heavy power as well as a lure rating from ½-1 oz. and a line rating of 10-20 pound test. While the NEPS92HF-MHX blank is two inches longer at 7’8”, it also packs a heavy power, a moderate-fast action, but ups the lure rating to ½-1 ¼ oz. and the line rating to 12-30 pound test. 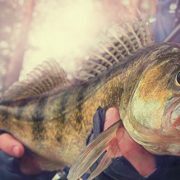 Why Fish MHX Elite Pro Blanks? MHX retooled the popular Elite Pro Series of blanks by investing in new innovative materials and the advanced Nano Resin system to match. These performance driven rod blanks utilize 50 million modulus Toray fiber with an exceptionally high tensile strength and now incorporate an incredible Nano Resin system. Featuring reduced diameters without sacrificing power, the tactical balance and dynamic performance of the MHX Elite Pro Blanks is unrivaled on the water. The remarkable sensitivity in these retooled NEPS blanks make great rods for many freshwater applications, like Bass and Walleye, and even inshore applications, such as Redfish and Snook. 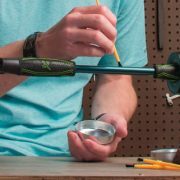 Build your Elite Pro Series Rod now!